The Leonard Cheshire Disability charity have published a report suggesting that 300,000 disabled people are on housing waiting lists, and currently ‘making do’ in unsuitable accommodation. 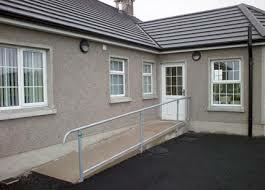 There are calls for the government to build more accessible and adaptable homes. The charity wants the government to make housing developers build all new homes so they are easy to adapt (so-called “lifetime homes”) if a resident was to become disabled, and for 10% of large developments to be fully wheelchair accessible so that disabled people can live independently and pursue job opportunities across the country.